Obama's New, More Lenient Deportation Policy Could Cut Both Ways Politically : It's All Politics A cynical observer might view as a bid for Hispanic votes the Obama Administration's new policy to review as many as 300,000 illegal immigration cases to focus more on deporting criminals than undocumented individuals who pose little to no risk to society.The decision would use some of the criteria of the DREAM Act, which failed to get through Congress, to show leniency to young people, especially students and military veterans brought illegally to the U.S. as small children by their undocumented immigrant parents. A DREAM Act rally outside the White House, July 26, 2011. Some observers might view as a cynical bid for Hispanic votes the Obama Administration's new policy to review as many as 300,000 illegal immigration cases to focus more on deporting criminals than undocumented individuals posing little to no risk to society. The decision would use some of the criteria of the DREAM Act, which failed to get through Congress, to show leniency to young people, especially students and military veterans brought illegally to the U.S. as small children by their undocumented immigrant parents. The administration framed its decision as a way to target its immigration resources on the highest priority cases, those illegal immigrants whose criminality represents a true threat to the U.S.
Immigration and Customs Enforcement officials are being given significantly more latitude to exercise their discretion under the new rules. No doubt the decision will be welcomed by many immigrant advocates and the communities they represent, who have pleaded with the administration to show compassion. 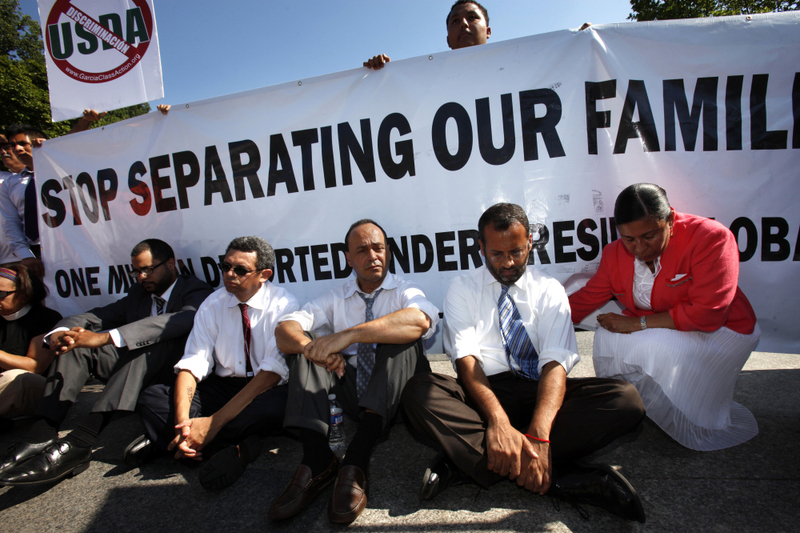 It's not the comprehensive immigration reform many Latinos have hoped for. It's a significant step, however. But the new policy definitely cuts both ways. Illegal immigration stirs passions like few other issues. So there's a risk to President Obama that it gives his conservative opposition yet another issue to energize their voters around. It's already being called a "backdoor" or "de facto amnesty" by some critics. It's not just Republicans who may be fired up against the policy, however. Even some voters in Obama's political base, especially some African Americans, could wind up being upset by the decision. With the economy only grudgingly creating jobs and black unemployment more than twice as high as the nine percent national average, some African Americans could take their frustrations out on Obama, perhaps staying home on Election Day 2012 than voting. So one of the things to watch for will be whether or not the policy change is a net plus for Obama.